Since version 9.2 patch level 04, SAP Business One offers a 360-degree view of customers and their needs providing businesses with the ability to offer customers the right products and services at the right time for increased customer satisfaction. Effective sales and opportunity management help to deliver faster and more successful sales conversions. You can access this feature on Business Partner Master Data menu. 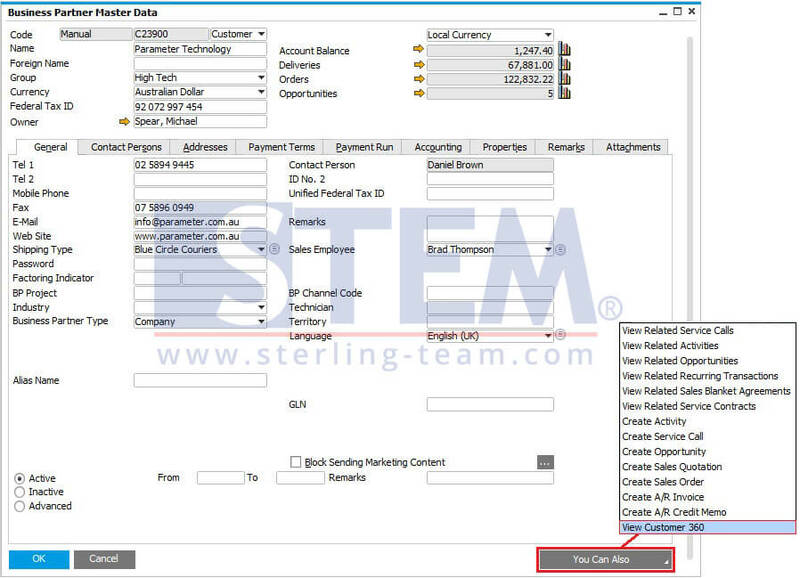 This screen consists of 4 different tabs, General, Sales, Order Fulfillment, and Receivables. 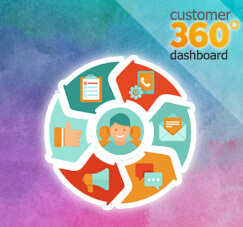 You can get a lot of information about your customer from this dashboard. It enables you to manage and analyze sales process and tap new opportunities through revenue projection. You can access all transaction history such as credit limits, receivables aging, and another information. 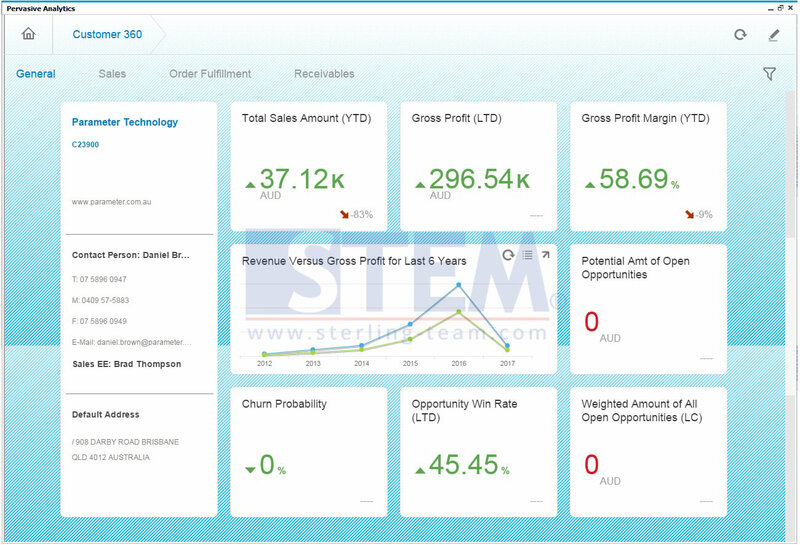 The user-friendly advanced dashboard in Business One gives a complete overview of account balances, deliveries, orders, and pipeline opportunities.